The Daily Life of a Ping Pong Table in Leipzig, Germany Photographed by Tomiyasu Hayahisa. 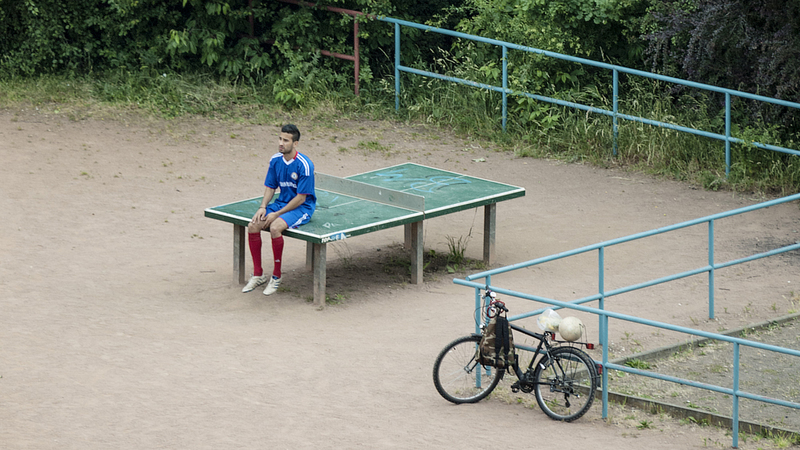 Tomiyasu Hayahisa started photographing a ping pong table located in a public athletic field across from his dorm in Leipzig, Germany for a series titled TTP. Tomiyasu had first noted the location after observing a fox after waiting several days for the animal to return, he began to photograph the other life forms that congregated or paused near the outdoor game. Rather than spotting the fox, he captured families, partiers, and lonesome daydreamers using the area as a bench or bed. You can see more of Tomiyasu‘s project on his website. Newer Post Miniature Faux Fur Landscapes Examines the Myth of the Wild-West by Areca Roe. Older Post Steve Warne’s Pombo Loves You is the Melancholy Story of a Children’s TV Mascot.